Last weekend I saw Robert Caro being interviewed on TV. Caro is the biographer of Lyndon B. Johnson. To date, he has written four biographies of Johnson and is at work on the fifth and final one. It has taken him thirty years to get this far. Thirty years devoted to one project! Caro, now 76, expects this last book to take ten years. The interviewer tactfully asked if he worried about being able to complete this final biography. Caro replied, yes, of course, but one carries on anyhow. The interviewer then pointed out what is apparently a characteristic of Caro's writing process: he already has the final sentence written. When asked, Caro declined to share the sentence, saying that would spoil the ending for him. I completely understood that unwillingness to talk about a work while it is in progress. I've heard many a writer say they'd killed a project by over-talking it. And yet I thought how different the process was for a fiction writer or a poet. I've heard fiction writers talk about the thrill of discovery and the pleasure of invention. I've heard of fiction writers who write towards a particular ending, but do any of them map out the entire journey or have that last sentence before the writing has begun? I don't know of any poets who even want to have the final line in mind before writing. The excitement of writing a poem is precisely the not-knowing where it's going. I want the sweet surprise of the ending, that closing I never envisioned but somehow arrived at. It typically takes me days, weeks, even months to get that last line. But until I get it, the poem's not done. If I knew what it was ahead of time, I don't think I'd be interested in writing the poem. In my monthly Poetry Newsletter I always include a book recommendation. Wait—what do you mean you don't get my Poetry Newsletter? Time to fix that. 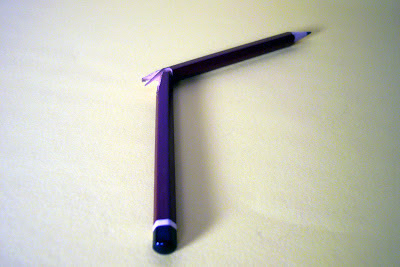 Go here to sign up: http://eepurl.com/bfoCw Or go to the sidebar to the right of this blog post and use the form there. The next issue will go out on February 1 and will include a Craft Tip from Susan Laughter Meyers, a poem by Caitlin Doyle, and a prompt based on the poem. Also included will be a book recommendation, a video, and some links. 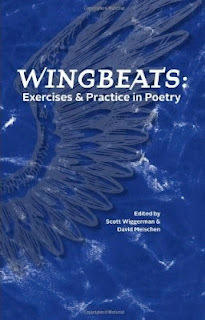 Anyhow, in January's issue I included a recommendation for Wingbeats: Exercises and Practice in Poetry, edited by Scott Wiggerman and David Meischen. I want to mention that book here, too. Since I've been up to my earlobes getting my forthcoming craft book, The Crafty Poet, ready to send off to my publisher, I've been finding it hard to find the time or the creative brain power to crank out some new poems of my own. Now, however, I'm zeroing in on the final stages of my work on the book and have again been making morning time for my own writing. But guess what? My brain was sort of dead, stale, out of practice, tilted to the wrong side. So I picked up Wingbeats, a book I'd already read months ago. As is my usual practice, I'd marked the Table of Contents to indicate which prompts most interested me, the ones I thought I'd want to try. The first few just got me back in practice, exercising some lazy muscles. But the one I started last Thursday, that one lit a fire. So I'm back in the groove. And I still have 15 more circled prompts to try. Then I'll push myself to try the ones that didn't interest me as much. Who knows what surprises they might yield? This is a perfect time of the year for a gift for yourself. Let that gift be a book of prompts. After the craziness of the end of the year—holidays, grades, and most likely neglect of your own poetry—it's time to get the engines revving again. I'm keen on prompts. I like the challenge, the sweet surprise of them. I like being pushed in new directions. If you feel the same way—or even if you don't—treat yourself to a copy of Wingbeats. I think you'll want to buy rather than borrow this book so you can mark it up and return to it repeatedly. 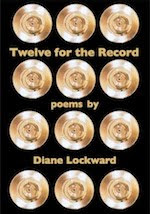 The book contains approximately sixty prompts by several dozen poets. The prompts are divided into seven sections with such headings as "Springboards to Imagination," "Exploring the Senses," and "Complicating the Poem." Each prompt includes specific instructions for preparation and procedure. Copious examples of poems by published poets and students are included. The contributors include Ellen Bass, Barbara Hamby, Naomi Shihab Nye, Patricia Smith, and Lewis Turco. 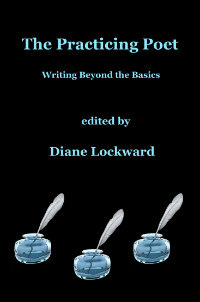 Many of the contributors are teachers as well as poets. Priced under $20, this book is an irresistible bargain. The new issue of Mezzo Cammin has recently gone live. The journal appears twice a year and is limited to formal poetry by women. Each issue also features an artist. This issue's artist is Jean Shin whose installations are shown in photos, along with a bio and a discussion of her work. The journal is the brainchild of poet Kim Bridgford who created the website and serves as the journal's editor. The journal evolved out of a seminar on women's poetry held at The Westchester Poetry Conference several years ago. Another outgrowth of the conference is The Mezzo Cammin Women Poets Timeline Project, which was officially launched in March 2010 and will eventually be the largest database of women poets in the world. Dozens of women poets have entries, each written by another woman poet. Along the top of the Timeline page, date ranges are listed. Click on one to find a linked list of poets covered in that time range. This is an invaluable resource, and it's still growing. In addition to poetry, each issue of the journal includes essays on any aspect of poetry in form, received or invented, by a woman. My poems are Apple Rondeau and In My Yard, the Bones of Trees. The first is obviously a rondeau, fun form which you should try if you haven't already. The second is written in tercets. A bio and photo are included for each poet. The editor limits the number of poets included in each issue but includes 2-3 poems by each poet, more by the featured poet. 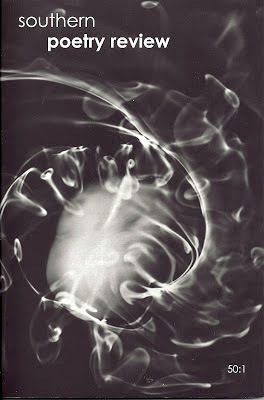 I love invented forms, the challenge of them, the risks they entail. So when I recently learned of the Gigan, I pounced on it. This form was invented by poet Ruth Ellen Kocher. Kocher named the form in honor of her favorite monster from Godzilla. 1. The poem is 16 lines. 2. The lines are broken into couplet, tercet, couplet, couplet, couplet, tercet, couplet. 3. Line 1 is repeated as line 11. 4. Line 6 is repeated as line 12. 5. Ideally, the closing couplet should put a twist on the poem. You can sample a number of Kocher's gigans online at From the Fishouse. The text of each poem is provided, along with an audio of the poet reading the poem. You can also listen to Kocher talk about her gigan project. The talk is just a bit over 2 minutes. sung roses that want most to be the silk worm’s slink and cower. and darkening red. i would give up anjou pears for you. the soil’s woe begotten centuries mulched into pollen, nectar. its singular drive toward the green silhouette of rapture. Here's one by Evie Shockley, from her book, the new black. This poem was previously featured on Poetry Daily. her name was norma, marilyn, ella, est-elle, the star. 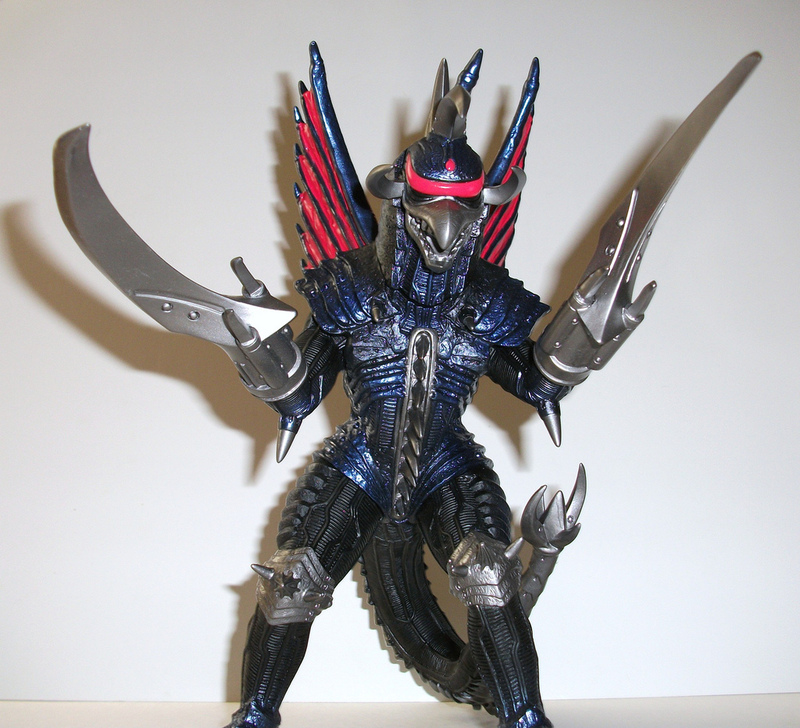 Now go grab a pen and get going on your own gigan. Let's kick off 2013 by getting back to poetry! So long, Santa. So long, Malls. So long, Online Stores (but bless you for making life easier). You may recall that several months ago I posted a list of print journals that include poetry only or poetry and reviews of poetry books. One of those that I was interested in was Southern Poetry Review, the second oldest poetry journal in its region. I submitted some poems and was delighted to have one accepted. That poem, "Morning Walk," now appears in the latest issue of the journal. Due to Hurricane Sandy, this issue took longer than it should have to reach me as lots of New Jersey mail was destroyed, including, apparently, my contributor's copies. After seeing references to the new issue and receiving a few notes from people who'd seen my poem, I realized that my copy was missing and I contacted the editor. He very kindly sent me two additional copies. I am now not only a contributor but also a subscriber. I look forward to more of this outstanding journal. I like it because of its limitation to poetry. I also like it because the journal is just the right size. At 6 x 9, it's comfortable to hold. I like the artwork on the cover, a photo by Andrew Ilachinski. I like it because it's limited to a reasonable number of poets. This issue has 28 poets and takes up 58 pages. I'm guessing that other issues have more poets, but this issue has a handful of longish poems. Then a few pages of Contributors' Notes, each note giving the poet's location, most recent book title, and a few publication credits. Southern Poetry Review publishes two issues per year. A subscription is only $14. That's $7 per issue! Now that's a serious bargain. Submissions are read all year, snail mail only.